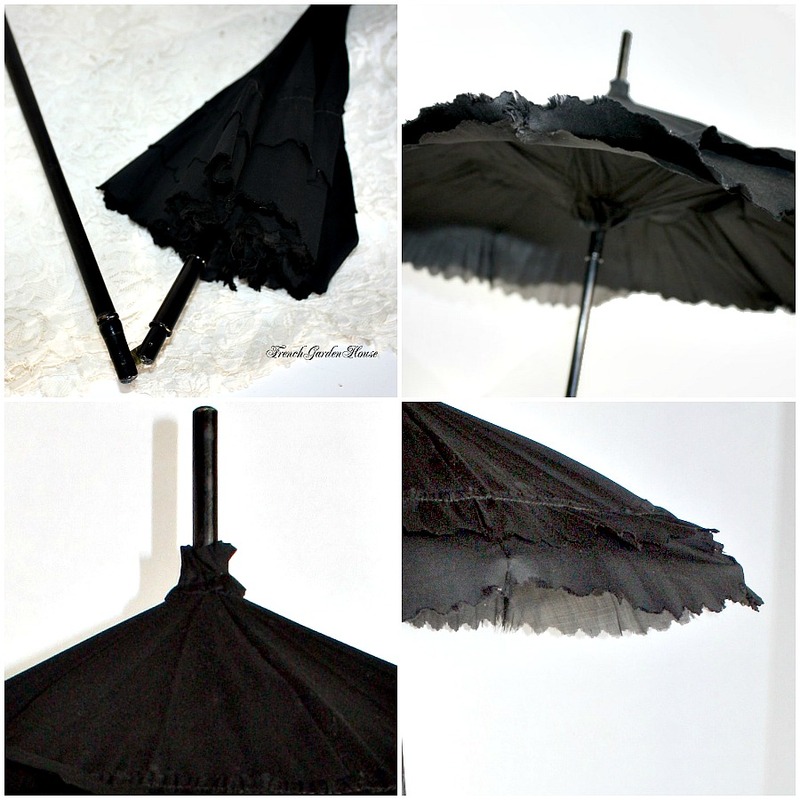 Collectible Antique Black Parasol from the mid 1800's, of sheer black fabric, with ruched gathering, a simple ruffle trim edging along the bottom adds a special detail. 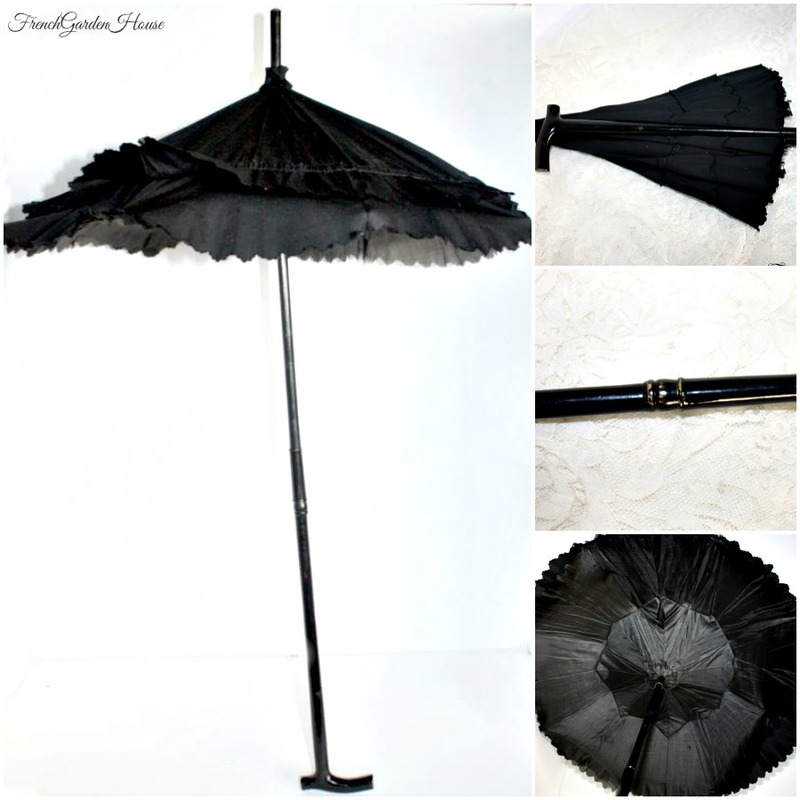 This pretty parasol umbrella is fully lined in French black silk, with a black metal frame inside, in fine working order. The folding handle is delicate and wonderfully hand carved ebonized wood, the mechanism for the folding works well. Rare to find in this condition, a charming addition to your antique clothing collection, or to display with your antique French dolls, non? Perfect for your larger Bebe or Poupee. 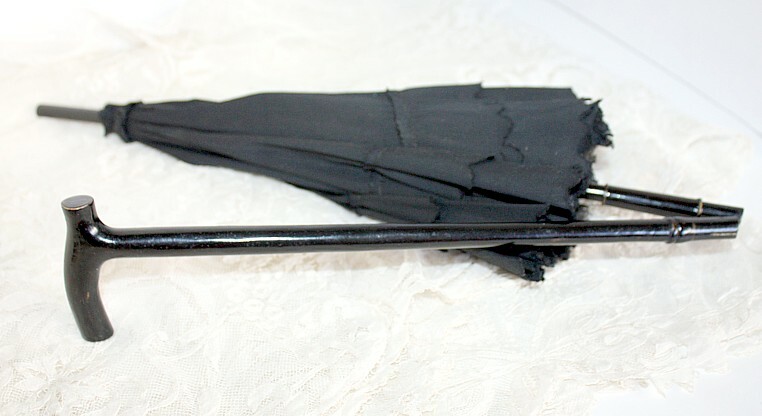 Love this, I was excited to be able to purchase this from a collector of parasols, as parasols in this condition are rarely found. It is in excellent useable condition, with very minor wear, this was lovingly displayed and extemely well cared for. Measures: 27" long; 19" in circumference when opened.